Gain Instagram followers, grow your personal brand, and influence others with beautiful photography, fabulous content ideas, the best filters, and the right hashtags. You have unbeatable taste and killer style that just needs to be unleashed to the world. You're a creative force who wants to connect with others who will appreciate and be inspired. Learn how to tell compelling visual stories for every aspect of your charmingly curated life - from a cozy snap of your shabby chic bed, to a candid of your day trip with hubs, to an attractive flat lay of your covetable afternoon-in-the-park outfit. How do people take those aerial shots of breakfast in bed, why do her selfies look so flattering, and how does she have time to capture all those beautiful photos while raising a family? Learn from successful Instagram influencers as they teach you all the exclusive tricks of the trade. 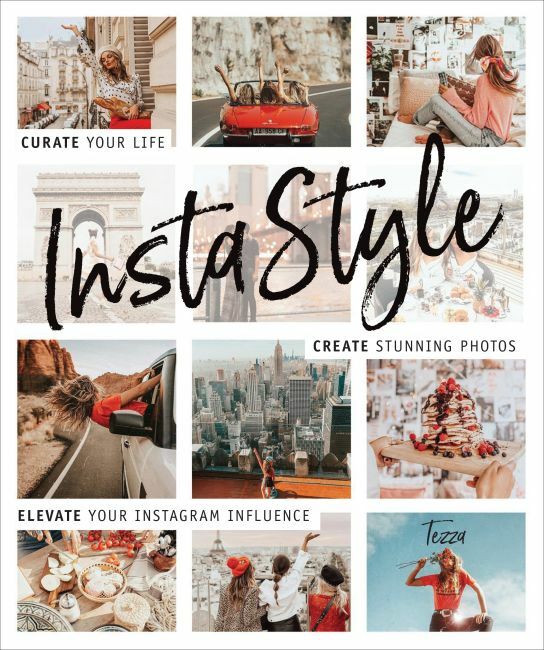 InstaStyle is your visual guide for transforming your feed and showcasing your life, while remaining true to your brand. From the moment you create your handle to get started, this book provides content inspiration, advice on curating shots, and editing instructions to keep your grid captivating and professional. Whether you prefer vintage and moody, or soft and blush pink, specific guidelines explain how to create an immediately recognizable photo aesthetic with presets and editing. You'll learn precisely how to drive people to your feed and win a follow so that you ultimately grow your business, and earn money by becoming #sponsored.